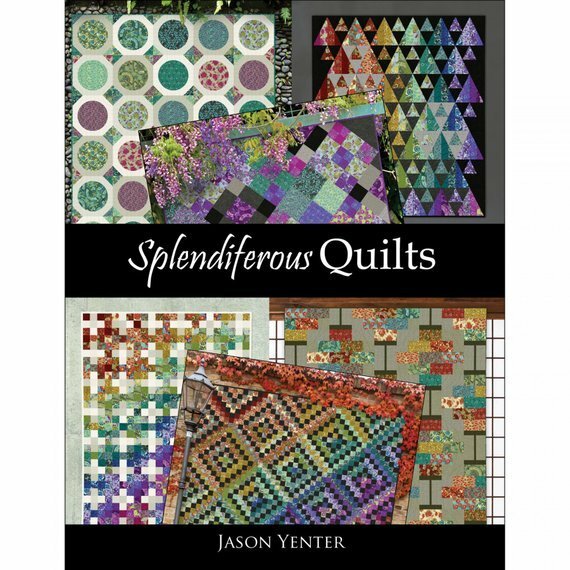 If you enjoyed Garden Delights, you are sure to fall in love with this softcover book by Jason Yenter and features six beautiful quilt patterns. These patterns use the fabric line called "The Pastiche Collection" by In The Beginning fabrics, which features bold and rich colors. These fabrics are manufactured using digital technology rather than screen printing, which gives the fabrics fine detail and exciting color variations. These fabrics are featured in our Patchwork Garden kit of the Prismatic quilt in this book. The book includes templates that can be cut out on template plastic. Some quilts will work perfectly with pre-cuts, such as jelly rolls.